MLL: Upsets, comebacks and overtime – oh my! Another weekend of Major League Lacrosse provided incredible action with upsets and overtime victories. The largest margin of victory was just three goals. The only thing that remained unchanged was the Denver Outlaws staying atop the standings. Denver remains an undefeated team after their bye week. Chesapeake moved into second place after a two-goal victory over Atlanta. Charlotte, which has improved every week, defeated heavily favoured Ohio at home and climbed out of last place. Boston got back on the winning track after a comeback victory over rival New York whose offense was firing on all cylinders the previous week. Florida moved into the middle of the pack with an overtime win and sweep of Rochester. With memories of last season’s multiple teams and scenarios for the championship fresh in our minds, sweeping a team during the regular season is a big deal come playoff time. 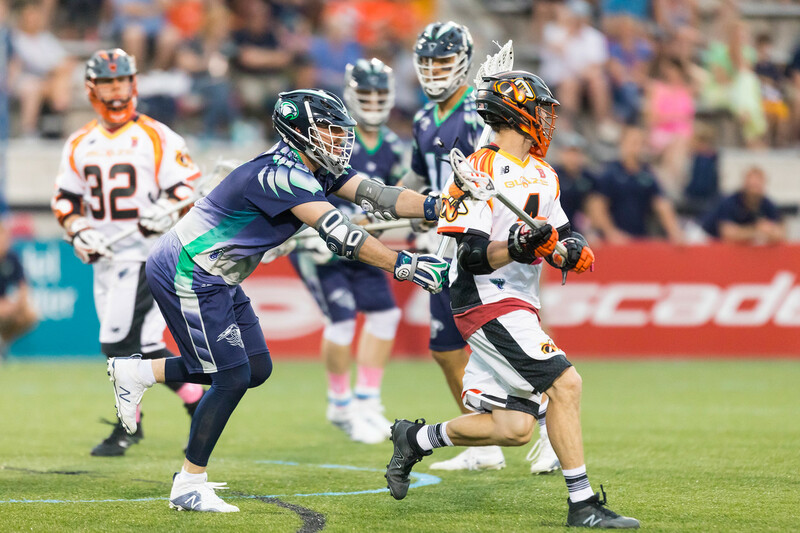 The Atlanta Blaze took a 6-4 lead at the end of the first quarter, but the Chesapeake Bayhawks scored five times in the second quarter while Atlanta only managed a single tally. This offensive run gave the Bayhawks their own two-goal lead at halftime. Both offenses cooled after halftime as Atlanta could not take advantage Chesapeake scoring one goal in the third. Even though the Blaze outscored the Bayhawks 2-1 in the third quarter, they could not take the lead from Chesapeake. The Bayhawks reeled off three goals in the fourth and put the game out of reach as the Blaze only scored twice in the period. Even though he made 18 saves to Brian Phipps’ seven, Adam Ghitelman took the loss for Atlanta. Nathan Lewnes and Shawn Evans led Chesapeake in goals with two apiece while Chris Bocklet, James Pannell and Bailey Tills led Atlanta with two goals each. The Bayhawks found an answer to their face-off struggles as Eric O’Brien dominated the battle at the X 18-27 as Chris May and Anthony Kelly totalled nine wins for the Blaze. Chesapeake also won the ground ball battle 41-29. This victory moved Chesapeake into second place as the only one-loss team in the league. NEXT: Chesapeake hosts Ohio on June 2 while Atlanta hosts Charlotte on the 3rd. The Charlotte Hounds overcame a scoreless first quarter to come back and beat the heavily favoured Ohio Machine to leave Atlanta in sole possession of last place in MLL. The Machine looked to extend their 3-0 lead and appeared ready to run away with the game, but Hounds scored the last five goals of second quarter to tie the game at halftime. In the third, the Hounds outscored the Machine 3-2 to take a one goal lead. This continued into the fourth as they scored twice to Ohio’s single. Pierce Bassett earned the win as well as defensive player of the week honours as he made 16 saves – eight of them in the fourth quarter. The Machine also had 16 saves as Scott Rodgers made 12 and Kyle Bernlohr four in the fourth quarter. Marcus Holman scored three goals to lead Ohio in followed by Mark Cockerton with two. The Machine’s offense hit a wall as Bassett stood on his head and repeatedly turned them away. Brendan Fowler, Kevin Crowley and John Haus led Ohio in scoring with two goals each. In addition to scoring, Fowler also dominated the face-off battle 16-20, as Ohio did not have an answer for the all-star. The Hounds dominated the ground ball battle and almost doubled-up the Machine 41-29. NEXT: Charlotte and Atlanta play a home-and-home on June 3 and 10 as they try to avoid last place. Ohio looks to get back in the win column hosting Florida. 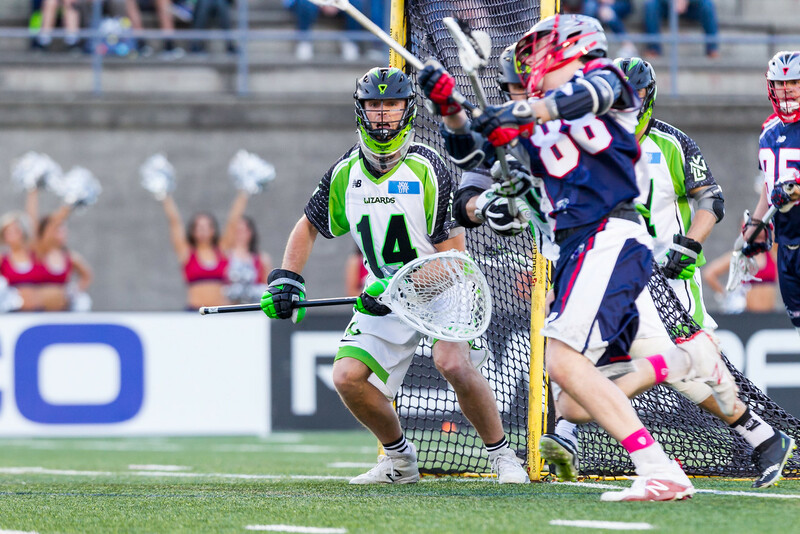 The Boston Cannons and New York Lizards wrote another chapter in their rivalry as Max Seibald made his season debut for the Cannons and exploded for two 2-point goals in the first quarter. Seibald’s effort helped Boston jump out to a 6-3 lead in the first. The Lizards responded with an offensive outburst of their own in the second with six goals, but the Cannons were just as hot, scoring five goals and taking an 11-9 lead into halftime. The New York offense went quiet in the third quarter with one score, but found a spark in the fourth and scored three. Boston capitalized on their early lead and the New York low-scoring second half to secure the win. Ground balls (36-31 Boston) and face-offs were almost even. Greg Gurenlian went 16-31 as he and Joe Nardella (15-31) wrote their own chapter in the Boston-New York rivalry. Drew Adams took the loss despite making 16 saves and Tyler Fiorito matched him with 16 saves. Seibald led the Cannons with four goals and earned offensive player of the week honours. Davey Emala and Will Manny each had three goals for Boston. Matt Gibson led the Lizards with four goals while Joe Walters and Dave Lawson chipped in two each. NEXT: New York next hosts a Florida team that has given them fits in the past and is much improved over last season on June 2nd. Boston hosts the defending champion Denver Outlaws on June 3. In the most dramatic game of the weekend, the Florida Launch swept the Rochester Rattlers and moved into a three-team tie for third (say that 10 times fast!). Florida and Rochester battled to a 2-2 tie before the Launch offense fell silent in the second as the Rattlers took the lead 4-2 at half. The teams swapped goals in the third as Rochester continued clinging to the lead. Florida captain Steven Brooks did the equivalent of “hold my beer” and then scored a 2-point goal and the final goal of the fourth to send the game into overtime. Conner Buczek found Chazz Woodson for the game winning goal in overtime. Ground balls were almost even with the advantage going to Florida (32-30). Face-offs, which are always pivotal in close games, were 11-21 in favour of the Launch. Both goalies stood on their heads and played strong games as John Galloway made 19 saves while Austin Kaut made 17 to help secure the Launch win. Buczek, Woodson and Brooks all scored twice for Florida. Conor Gately scored three goals and Dhane Smith scored two as the duo led Rochester’s offense. NEXT: Florida travels next to Ohio on May 27 looking to get over .500 as Kieran McArdle and Tom Schreiber, two of the best offensive players for their respective teams return; both are free of their NLL commitment with the Toronto Rock who were eliminated from playoff contention last weekend. Rochester also plays on Saturday; they travel to Denver for a showdown with the league leading Outlaws. The Rattlers are looking to dethrone the defending champions and get back on the winning track. Regardless of which team is playing, the MLL will see more shuffling in the standings as the best players in the world compete for the Steinfeld Cup.